Swamiji is a walking encyclopedia of Vedic philosophy; he is also filled with the energy, wisdom, and fun of Lord Shiva. These videos capture special moments in the life of our beloved Swamiji – wandering through the villages and mountains of India, telling stories in the Devi Mandir, and more. "Namaste Swamiji, Thank you so much for sharing. You are such an amazing being with such great knowledge. I was listening to your talks again." Swamiji is a master of devotional worship, and with His charismatic and loving personality He shares with us specific techniques to enhance our puja. He shows how to organize our worship and how to incorporate articles of worship in the most efficient and graceful way. Get a glimpse into Swamiji’s life and journey on the Chandi Path. 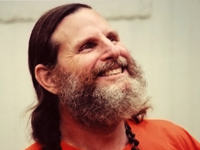 Swami Satyananda Saraswati discusses why and how we worship on Shivaratri. He answers questions about the holy day’s pujas, the symbolism of Shiva’s madness following the death of Sati, and tells one of the many stories regarding the origin of Shivaratri.